And here we go! The year’s first MLS home sale report numbers are out. The January overview on MLS real estate trends gives you an up-to-date look at the city’s housing market, providing data like average house prices, housing inventory, and days on market readily available in an easy-to-understand graphic format. 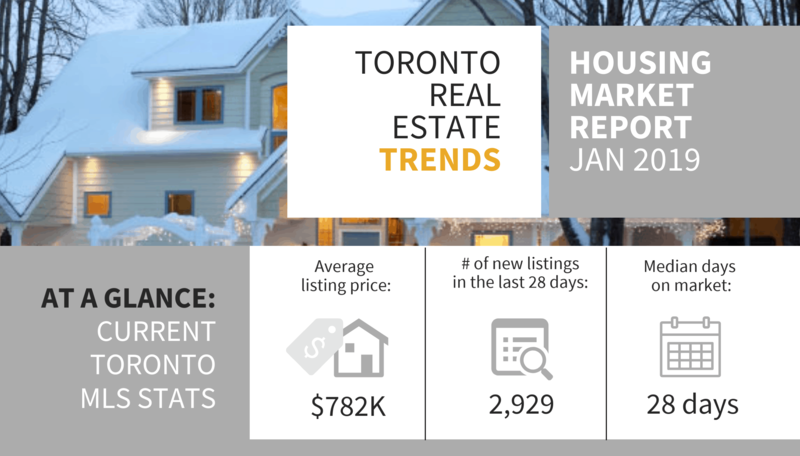 The home price data is compiled from MLS and TREB files from December 27–January 25 and ranks every city in the GTA based on sale price, price growth, days on market, and turnover. This enables you to see the Toronto housing market on a wider scale, how it compares to other cities in the metro area and provides you with new insights on both the Toronto real estate market and the Greater Toronto area so that you have a better idea of where you want to live. Notable this month, Toronto is now the 10th most expensive city (back up from 12th at year end 2018) and has been knocked all the way down to the 14th Fastest Growing (a far cry from 1st as of December 2018) in the GTA. As always, consider reviewing other MLS stats, like the MLS Home Price Index, to get a better perspective of the market. View the full report below. For All your GTA real estate needs, contact the Merenda real estate group today or call 416. 240. SOLD (7653). With our 20+ years of industry knowledge, and a client-forward approach, we’ll get you the results you want and the experience you deserve.